Iconic Grammy®-winning producer/engineer Jack Joseph Puig and his personal palette of tones, shades, and hues have illuminated and empowered a kaleidoscope of projects that have spanned commercial record making. His vivid and vibrant productions have defined and redefined the sound of contemporary pop, rock, country, and urban music, time and time again. 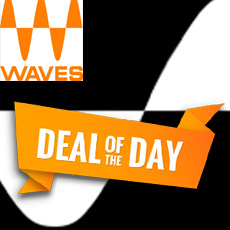 Puig Compressor & Equalizer Plugins by Waves! I use ALL these plugins for exactly what they are intended for! I mean: Bass, Drums, Strings & Keys, Cymbals & Percussions, Vocals, Guitars. Gute, einfach zu verwendende und professionell klingende Plugins!